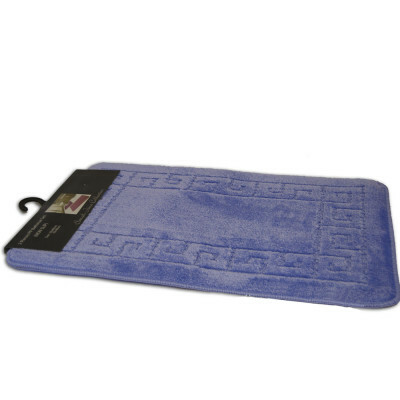 Bring chic and comfort to your bathroom with this eye-catching bath mat 2 piece set. Professionally manufactured from 100% polyester material, this bath mat set is soft to the touch, highly durable and resist fading. It features a blue colour in plain design that offers a modern and stylish look to your bathroom.